(Newser) – Greece and Macedonia reached an historic agreement Tuesday to end a bitter 27-year name dispute that had kept the smaller and younger country out of international institutions such as NATO, the two countries' prime ministers announced. Greece's Alexis Tsipras and Macedonia's Zoran Zaev said the former Yugoslav republic's new name for both domestic and international purposes would be Republic of North Macedonia. Macedonia will also amend its constitution to reflect the change as part of the deal, the AP reports. The nationality of the country's citizens will be listed on official documents in English as "Macedonian/citizen of the Republic of North Macedonia," Greek officials said. NATO and European Union officials welcomed the breakthrough, which NATO Secretary General Jens Stoltenberg said would help consolidate regional peace and stability. Greece had long demanded that its northern neighbor change or modify its name to avoid any claim to the territory and ancient heritage of the region in northern Greece named Macedonia—birthplace of ancient warrior king Alexander the Great. The current prime ministers' attempts to end the dispute have faced dissent in both countries, leading to large protests by opponents of a compromise, threatening to split Greece's governing coalition and provoking a rift between Macedonia's prime minister and president. And main opposition parties in both countries rejected the agreement. Zaev said the deal would be signed this weekend, and a voter referendum would be held in the fall. After the deal is signed by the two countries' foreign ministers and ratified by Macedonia's parliament, Greece will back invitations for Macedonia to join NATO and start negotiations on joining the EU. 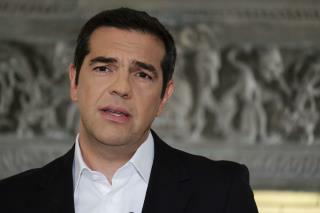 However, Tsipras said, this will be contingent on Macedonia completing the constitutional changes. On a recent flight from Warsaw Poland to Tirana Albania the wind shear and turbulence were SO BAD that the pilot announced that his first attempt to land was his last and that we would either be returning to Warsaw or diverting to another airport. We ended up at the "Alexander the Great" airport in Skopje - which wasn't even on our bucket list of places to visit ! LOL! F clowns far more to worry about.... Alex would have just keeled them all.